You will need Go 1.11+ and Create React App installed on your machine. In this tutorial, we are going to create an online, realtime blackjack game. Players will be able to observe and join tables in order to play, and can chat with other players at the table they are at. Blackjack is an interesting game. It’s single player between the player and the house, but the way that the game plays out varies depending on the number of other players at the same table. Blackjack plays in rounds, where all of the players who were sat at the table at the start of the round get to play. Firstly all of the players put in a bet - anywhere between one token and their entire pot. The croupier then deals two cards to each player and one to himself, all face up. Starting from seat 1, each player then gets to play - either opting to stick on their current hand or to hit, to draw a new card, until they go bust or reach five cards. Each player gets their entire turn before the next player gets to act. Note: we will not be allowing more advanced playing rules such as splitting, doubling or insurance. Once the last player has gone, the croupier also gets to act. This involves drawing cards until they reach 16 or higher. Once the croupier has finished, any players who did not go bust and have a hand worth more than the croupiers will double their stake, and any players who have a hand worth equal to the croupiers will get their stake back. Players who got exactly 21 will triple their stake instead of doubling it. At this point the next round begins, and play continues. We will be using Go and React. As such, it is important that you have a recent version of Go - at least version 1.11 - already installed and configured on your system, including having the GOPATH set up correctly. If you do not know how to do this then the Go documentation can explain this all. A certain level of understanding of Go is assumed to follow along with this article. The “A Tour of Go” tutorial is a fantastic introduction if you are new to the language. Finally, in order to complete this you will need a free account at Pusher, and then create a free Pusher Channels and a Pusher Chatkit instance to use, making sure to note down the credentials provided. Before we can continue, we need to create some basic Chatkit details. This is done by logging in to the Chatkit dashboard for the instance we are using, and navigating to the Instance Inspector. We will then create a number of rooms. Each room equates directly to a table in our game, so the room names will be the table names. 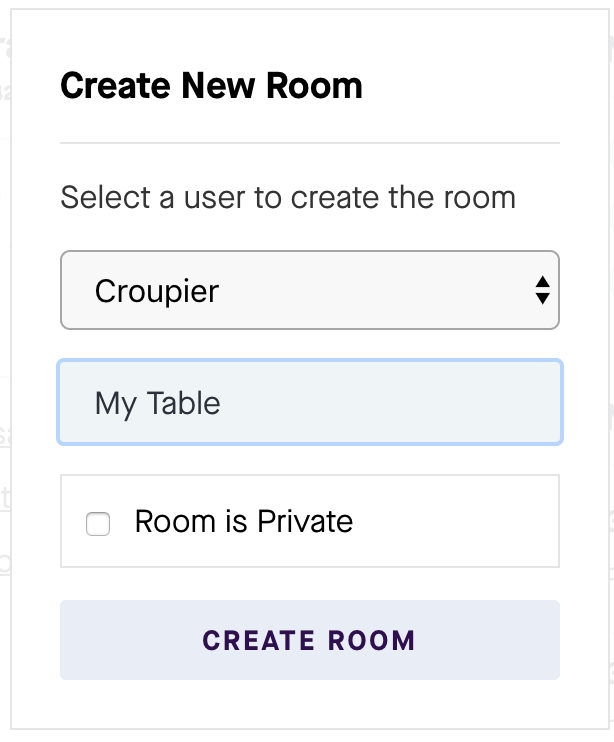 Select our Croupier user as the owner of the room, and give it a name to represent the table and then hit Create Room. Repeat this for as many tables as you want to create. We are going to write our backend service using the Go language, using the Gin library to power our HTTP service. Every one of our Blackjack tables will be represented by a Chatkit room. Each table can have up to six players, and everyone else is a spectator. POST /chatkit/auth - this will allow a user to authenticate with Chatkit. GET /games/:id - this will get the current state of a given table. PUT /games/:id/:player - this will allow a player to join a table. DELETE /games/:id/:player - this will allow a player to leave a table. PUT /games/:id/:player/bet - this will allow a player to place a bet. POST /games/:id/:player/action - this will allow a player to perform an action. Next we’re going to set up the Go Modules support introduced in Go 1.11.
pusher/chatkit-server-go - the server component for working with Pusher Chatkit. pusher/pusher-platform-go/auth - the server component for authenticating users for Pusher Chatkit. pusher/pusher-http-go - the server component for working with Pusher Channels. gin-contrib/gin - the Gin web server. gin-contrib/cors - the component for allowing CORS support in Gin. Note: make sure to replace the values of CHATKIT_INSTANCE_LOCATOR and CHATKIT_KEY with the ones obtained from your actual Chatkit application instance. This package creates a type that has two methods on it - one for processing authentication of a user, and the other for allowing us to send a message to a table on behalf of the Croupier. 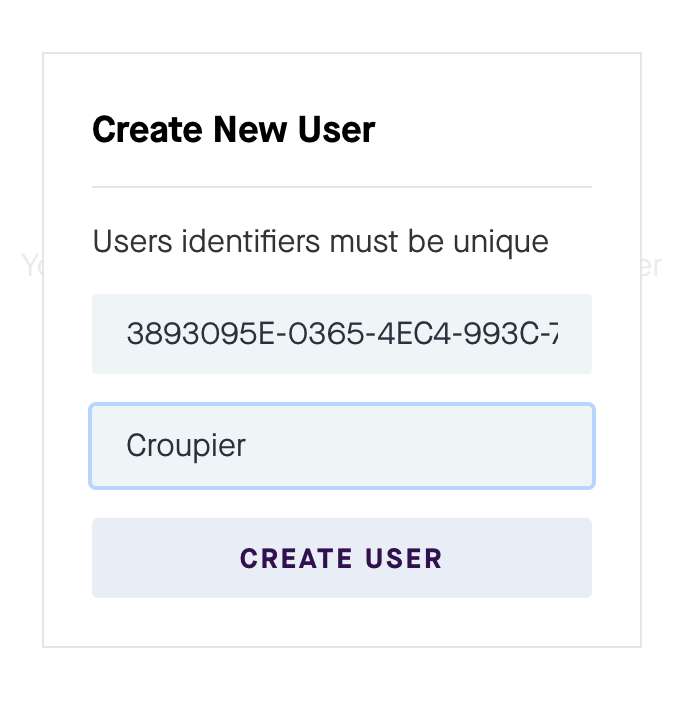 Note: the value of CROUPIER needs to match the ID generated for that user earlier on. Note: make sure to replace the values of PUSHER_APP_ID, PUSHER_KEY, PUSHER_SECRET and PUSHER_CLUSTER with the values obtained from creating your Pusher Channels application instance. This package simply sends a Pusher Channels message indicating that some table has had some update, which will then cause the client to re-request the table details. Doing this rather than sending the entire table details in the message is more efficient in terms of the data sent, and avoids any problems with the client receiving and rendering stale data - it will always need to get the exact data from the server every time. Here we actually run the Notifier in a separate goroutine, and queue messages to it when they come in. This means that the request to send a message will not cause the rest of the HTTP request to be blocked, but it does potentially open up the risk that the update message is delayed slightly. The next package we need is the actual game. This is the actual core of our backend service, so will be split over several files that Go then automatically makes available as a single package. Here we define a struct for a single Card, a single Player, a single Game and for the entire set of all Games. Every player has a current bet, a stack of chips to bet with, and a set of cards they are currently playing with. Every game has the details of the current players and the croupier, and also as an unexported variable the entire deck of cards for that table. This gives us the ability to get a game by it’s unique ID, and if it doesn’t already exist then we will create it. This allows us to add tables on the fly and they will automatically be handled. Note: there is no mechanism here for removing tables. Our shuffle routine will build a new deck out of six complete packs of cards randomly shuffled together. Our deal routine will then simply take the first of these cards out of the deck, removing it from that slice, and return that one card. Note: this uses the simple random number generation in the standard library. It is not of good enough quality for real casino use, but is good enough for our game. Players joining a table are given a free 100 chips in their stack to play with, and no cards until they are dealt some in the next round. There is a lot going on here, so lets take it one method at a time. The Bet method is used when a player wants to place a bet. Each player that is sat at the table can place a bet during the “betting” stage. Once every player currently sat at the table has placed a bet we automatically move on to the “playing” stage. When we do this, we ensure that the deck has enough cards in it, shuffling a new deck if not, then we deal two cards to each player that has bet and one card to the croupier. Then we work out which seat is the first to play, and we get the croupier to announce this to the table. The Hit method is used when a player wants to perform a “hit” - meaning that they want to be given another card. This ensures that the player is allowed to act, and then gives them another card. If they have either reached five cards or else they have gone bust - by exceeding a score of 21 - then we trigger the Stick method which will pass control on to the next player. The Stick method will ensure that the player is allowed to act, and then will work out which player to pass control to. If there is no next player - in other words the last player sat at the table has acted - then we resolve the end of the round. This is done by dealing cards to the croupier until they reach a score of 16, and then comparing the scores of each player to the croupier to work out how much to pay out. Once done we then announce to the table what the actions have been and move back to the “betting” stage to begin the next round. Finally the calculateScore method allows us to calculate the score for a set of cards. This simply adds up the face values of the cards - treating aces as 11 - and then reduces the score by 10 for each ace that we counted until we either get below 21 or else we run out. This effectively allows us to treat aces as 1 or 11 and get the maximum score value. All this does is to create a new Gin web server, add routes as described earlier on for all of our needed handlers, and start listening. This just creates our various components and starts the server listening. We can now run our server with go run blackjack.go and we’re ready for the UI. Now that we’ve got a backend service that can manage our games, we need a UI for the players to interact with. This is going to be a simple Create React App application, using Semantic UI to give us some structure to the page. Note: you can use “yarn” instead of “npm” if you prefer. Our UI will allow the player to enter a name, after which they will be given a list of tables they can play at, and the ability to play at a selected table. This simply renders a Username field and triggers a callback when the player submits the form. The wrapping component will use this later to allow the player to log in to the game. This simply takes the list of all Chatkit rooms - both currently joined and joinable ones - sorted in alphabetical order and then renders them. The currently joined ones are rendered in red, and the currently active one is rendered in a ribbon effect. Note: we’ve used the more accessible four color cards here, not the traditional two color cards. This means that the suits stand out more. Note: make sure to replace the values of PUSHER_KEY and PUSHER_CLUSTER with the values obtained from creating your Pusher Channels application instance. Note: in several places we refer to http://localhost:8080. This is the address our backend server is running on, and will need to be updated to point to the live one. This renders the croupier, all of the players seats and allows for the current user to perform the appropriate actions as needed. 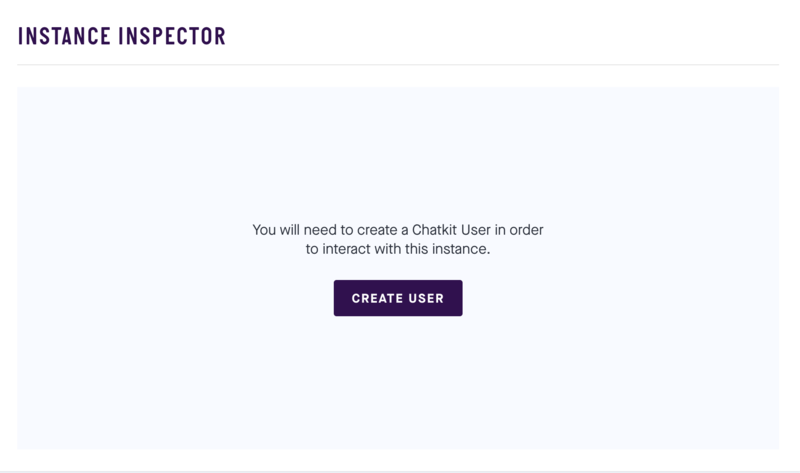 Note: make sure to replace the values of CHATKIT_INSTANCE_LOCATOR with the value obtained from creating your Pusher Chatkit application instance. Note: we refer to http://localhost:8080. This is the address our backend server is running on, and will need to be updated to point to the live one. This also handles the connection to Chatkit, and provides the current user and the lists of tables to the child components. This simply renders either the Login or the Tables component as needed. This ensures that the Semantic UI CSS is pulled in to the application. At this point, our UI is ready to use, and can be started with npm start. Ensure that the backend is running as well and we’re ready to go. This tutorial shows how you can use the power of Go and React to create an entertaining online game, including chat between players as well as the game itself talking back to the user. The source code for this example is available on GitHub. Why not try extending it to add more complicated rules?